Full digital and printing service on passport, Visas and driving licence photos. For all countries. Prices starting from £7.00. Emailing images and printing are instant. Click here to go our online kiosk. Digital prints, canvas prints, posters and calendars are amongst the many products available. PR Photos is an independent mini lab based in Princes Risborough, with over 13 years industry expertise and a proven commitment to quality to ensure your precious memories remain as fresh and as clear as the day you took them. To meet this commitment to our customers we have invested in state of the art Fuji Digital equipment and use Fuji Crystal Archive paper & chemistry for your prints, the choice of professional photographers. Our turn around time for digital prints on Express Service is anything from 15 minutes to 1 hour. We also offer a Next Day Service too. We can print your treasured memories from digital or traditional film formats offering on site film processing services for 35mm and 120 film processing, available in a wide range of print sizes in both Matt or Glossy finish. We also offer a wide range of other specialist services such as canvases and photo gifts and would be happy to answer any of your questions. Do you worry about losing your photos on your smart phone? 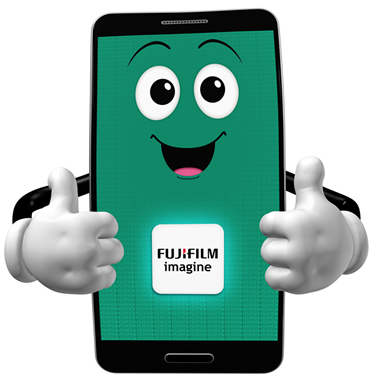 Then the FUJIFILM Image App is what you need! It’s a fast and convenient way to print your photos from your smart phone. You can also have your photos put onto gifts such as canvas’s, mugs, key rings, coasters and money boxes. You can choose to either collect them instore or have your photo products delivered.